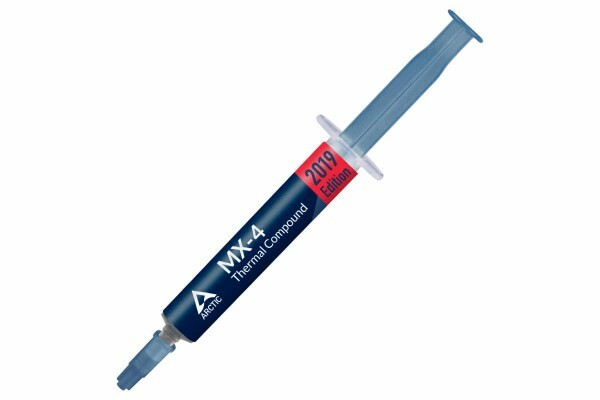 The ARCTIC MX-4 is a new thermal compound which offers exceptional thermal transfer from components to the waterblock. As the predecessor in the ARCTIC MX series the ARCTIC MX-4 is perfect for overclockers. At market launch the thermal compound was compared to 11 other thermal compounds in the August edition of PC Games Hardware. It was crowned winner of the review and was considered a top product. The ARCTIC MX-4 high-performance thermal compound can be applied very easily. The new consistency makes clean application to the chip easy, even with fingers. The electrically non-conductive compound is put in between the waterblock/heatsink and the chip which is to be cooled to optimize heat transfer. As the ARCTIC MX-4 is metal-free the risk of a shortcut is eliminated, hence improving safety in the system. With the attractive price and exceptional performance the ARCTIX MX-4 is the best thermal compound on the market by far.